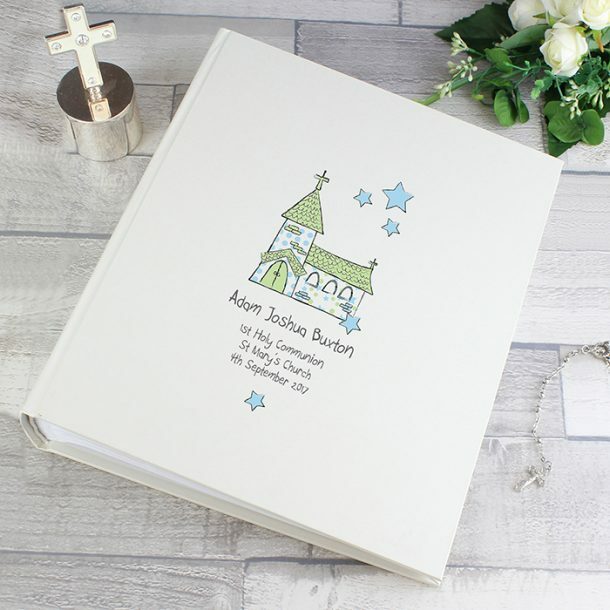 This Personalised Whimsical Blue Church Album with Sleeves will make a lovely setting for photographic memories. 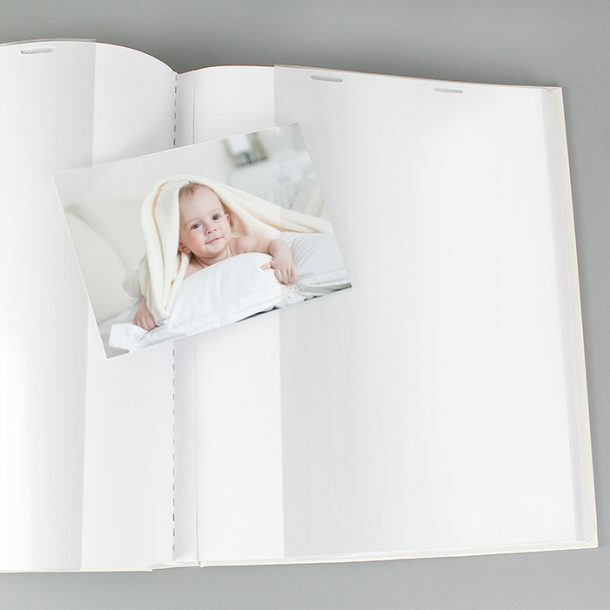 The cover of our album has a satin sheen finish, and inside contains 25 sleeved pages (50 sides), giving you plenty of room to store lots of Christening or Baptism images. The flexibility of the sleeves allows for up to 2x (6″ x 4″), 2x (7″ x 5″), 1x (6″ x 8″) or 1x (8″ x 10″) photo per page. The cover of this beautiful album features a blue whimsical church design, and below is the perfect setting for a personal message to be printed. 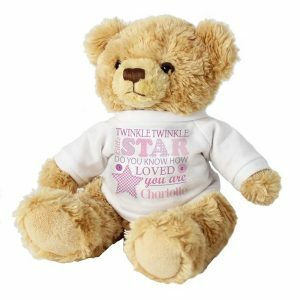 Any 4 lines of sentiment will be professionally added, and we allow for 25 characters per line. 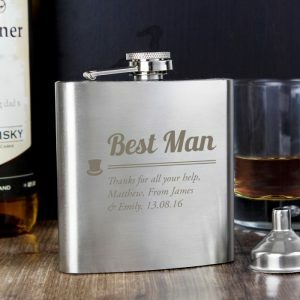 Line 1 of your message will automatically appear in a bold font. 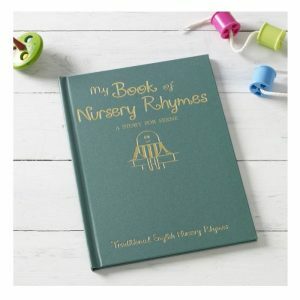 An album that’s perfect for a Christening, Baptism or Confirmation gift and also a wonderful present idea for a Wedding. 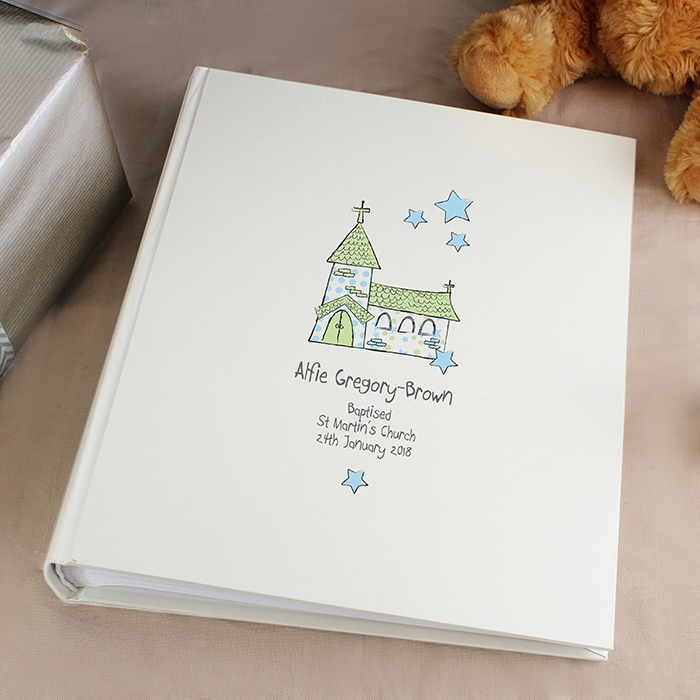 A wonderful way to capture beautiful Christening moments, and a book they will treasure forever.